Sign up for free and just shop with Made.com as normal. Our average member earns over £300 cashback a year. Use of a voucher code will result in your cashback being declined. Made.com cashback can be earned simply by clicking through to the merchant and shopping as normal. 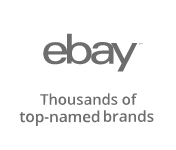 Made.com Cashback is available through TopCashback on genuine, tracked transactions completed immediately and wholly online. Get a discount on Made.com and make great savings on modern designer furniture for every room in the house. No matter if you are looking for sofas, chairs, tables or beds, they offer original furniture design at affordable prices by buying direct from the makers and connecting you with designers. Their unique collection, which also features storage, lighting, home accessories, garden furniture and items for a child's bedroom, is created by fresh design talent, many of whom have won awards, while they find the best craftsmen to build it, with all furniture made to order. If you need a helping hand, they offer inspiration and style tips on how to transform your house, while you will find discounts of up to 40% in their 'Last Chance' section if you are quick enough to snap up pieces before they are gone. You can also read about how to take care of your furniture, while they also provide a quality promise. Download the free Made.com app for the iPhone, meanwhile, and you can shop on the go. Made's range of furniture and homewares is an extensive one, meaning you are sure to find the ideal indoor or outdoor living solution to suit your design taste. Browse leather and fabric sofas, while when it comes to seating, you will find armchairs, stools, benches and chairs for a sumptuous dining experience. Search side tables, bedside tables and desks for your home office or student accommodation, while if you are in need of a great storage solution, their collection includes bookcases, wardrobes, sideboards and TV units. Illuminate your home with floor and table lamps or ceiling lights, while you can sleep easy on a single, double, king or super king-size bed, for which you can also buy mattresses and bedding. Deck out a child's bedroom with designer pieces, while their selection of home accessories includes everything from rugs, cushions and towels to art, mirrors and clocks. For those balmy summer evenings, meanwhile, why not treat yourself to an outdoor table and chairs, lounger or rattan furniture? Before you buy, make sure you sign up to TopCashback using the form further down this page so you can make savings. If you want to get money off high-quality furniture and homeware, then you’ll want to get your hands on a Made.com discount, and one of the easiest ways to get a reduction on your order is to shop via TopCashback, allowing you to save on pretty much anything on site. If however, you’re looking to spend less then opting to combine cashback with Made.com deals is key. Starting out with the Made Essential range you’ll find a selection of lines at lower prices, and offering increased value, while if you take a look at the clearance section, you’ll be able to browse even better discounts on select end of line items. Additional savings can be made on shipping with selected days offering free standard delivery, and others allowing specific items to include express shipping at no extra cost. 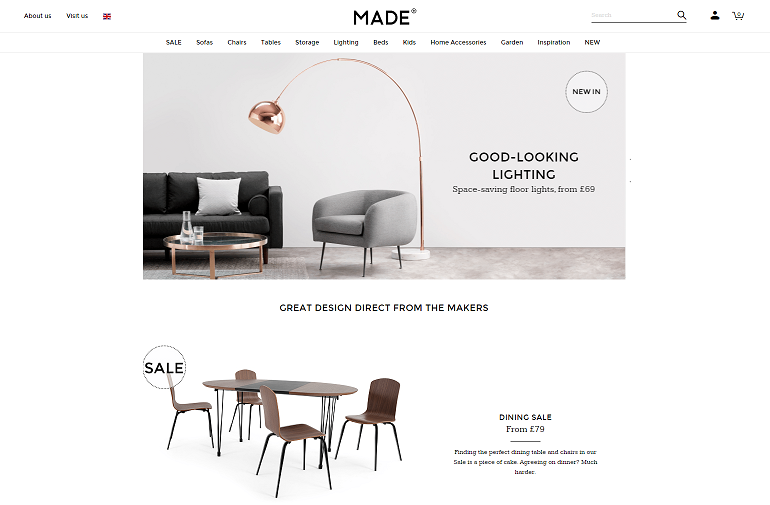 For the most significant discounts at Made.com you must check out one of their sale events. A winter warming up to 40% off select lines is usually available from the end of December through to the last days of January, and Summer events lasts From June until July. Additional to those reductions, 48hr flash sales also feature throughout the sale, and with cut prices focused on a specific category like lighting, sofas or bedroom furniture. To be sure you don’t miss out on any upcoming sale events, it’s wise to sign up to the Made.com email newsletter, not only will you hear about the latest offers and launches, but you also get £10 off your next order over £50. While they design and create high-quality furniture at affordable prices, Made make sure it is not so at the expense of the planet or the people who produce it. Their 'Quality Guardians' pay regular visits to manufacturers to check the quality of materials and where they are being sourced from. When you order from Made.com, you can be sure that the wood they use is responsibly sourced, all of their manufacturers provide a healthy working environment, they reduce wastage and costs by ordering large quantities at a time and reduce transportation emissions by designing many of their items to be transported efficiently. Download the free Made.com app from the App Store and you can buy original designs on the go on your iOS device. They release two new collections each week, which you can be the first to hear about - as well as special promotions - through in-app notifications. You can save the items you love to your wish list and buy them later, while the app also offers easy and secure payment using Apple Pay, credit card or PayPal, while Facebook login makes registration hassle-free. Although you will be charged delivery for each product, they do cap costs, meaning it will never be any more than £39.95. For small items under £50, you will receive a text message and email on the day of delivery, letting you know your item will arrive between 9am and 5pm. If you are not in, a card will be left and you will be able to collect your order from your local Post Office, For small items over £50, you will be sent a text message and email the evening before the delivery day, letting you know that it will take place the next day, while their delivery partner will send you a text message on the morning of delivery with a one-hour time slot. You will then be able to reschedule delivery, arrange for it to be left with a neighbour or have it sent to a local depot for collection. If you buy a mid-sized item, such as a coffee table, their delivery partners will contact you within 24 hours of dispatch to arrange a date. They day before delivery, you will receive a four-hour window and will then get a call 30-60 minutes before it is due to happen. For small or heavy furniture orders, you will be contacted within two working days of dispatch by their delivery partner to arrange a date. Delivery will be made to the room of your choice and packaging will be removed if you wish, though they can only deliver items up to the third floor which are 75kg or less if there is no lift available. Some carriers offer a Saturday or Sunday delivery option, which you can choose at checkout if it is available. If you order something and do not like it, you can return it to them within 14 days of delivery for a full refund, including the shipping charge (least expensive type of standard delivery). If you want to cancel the order, you will need to contact them and, depending on the item, they will arrange for it to be collected by their delivery partners or you can send it back to them. You will have to cover the cost of getting the item back to them. 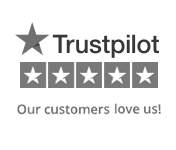 Should you realise after delivery that you are unhappy with the quality or have been sent the wrong item, you will need to contact Made as soon as possible and include some photographs highlighting the issue, if possible. If your complaint is valid, they will either give you a full refund, arrange for it to be repaired or order you a replacement. You can cancel your order any time before it is dispatched for a full refund, while if you need to return an item because it is faulty or as a result of something they have done wrong, you will not have to pay the return or collection costs. Do you want to buy bespoke, high-end designer furniture without it costing you an arm and a leg? Browse these Made.com cashback offers and get a great deal. Made.com are taking on the high street to offer customers original furniture design at affordable prices. Shop for anything from sofas, beds, chairs and tables to storage solutions, lighting, art and homeware products. Buy online and earn great rewards.